The ARH Group started life in 1990, when our Managing Director, Tony Holton established ARH Electrical Services. Over the past 25 or so years, we expanded our services and by 2009 we were recognised as an integrated mechanical and electrical building services company, with a turnover just under £10 million. In 2010 the Group established a Facilities Management division, with Process Engineering following, to create the modern company we are today, with an annual turnover of around £25 million. In 2016 the ARH Group launched its new brand identity, marking a significant milestone in our company’s history. The new brand is part of our continued commitment to perpetuating a sustainable and dependable company, that meets and exceeds our client’s requirements. 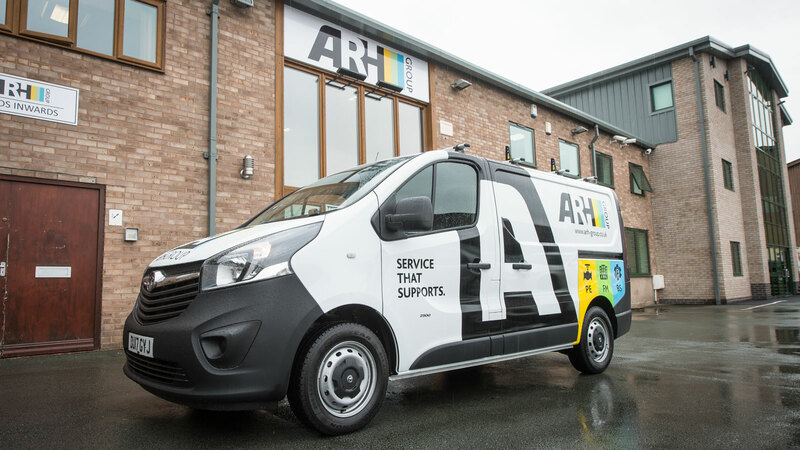 Our brand has evolved, like the company from our ‘electrical services’ heritage, and now showcases our expertise and the breadth of the services we offer today in – Process Engineering, Facilities Management and Building Services. The brand is being rolled out across our 200 strong fleet of vehicles, with our new website launched in August 2017.